Course objectives with unified protestors. 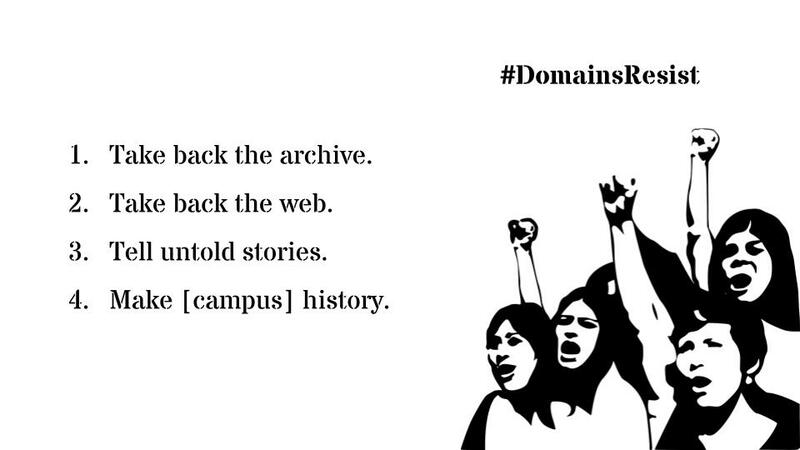 Lora Taub-Pervizpour and Jordan Noyes, “#DomainsResist,” Documentary, Archives, & Activism, accessed April 22, 2019, http://protest.archivingephemerality.com/omeka/items/show/163. All images are used for educational purposes only unless otherwise noted. All works cited in the exhibits are included on this shared document.